Well it seems like December had flown by so fast already, and I haven’t even had a chance to enjoy it yet. The week after Thanksgiving we had a very sudden death in our church family, then last week my house was full of sumach bugs. So here we are now, 2 weeks before Christmas, and I haven’t even had a chance to realize it’s December yet! Wow, time flies when you’re busy. Anyway… One thing I was able to accomplish despite the chaos is my Christmas throw pillows covers. I really like how they turned out for the most part. Though, I’ll be honest, I’m still tweaking one because it’s just not quite right yet. Anyway, I promised in my fall throw pillow post to show you how I make my covers, so here it is! 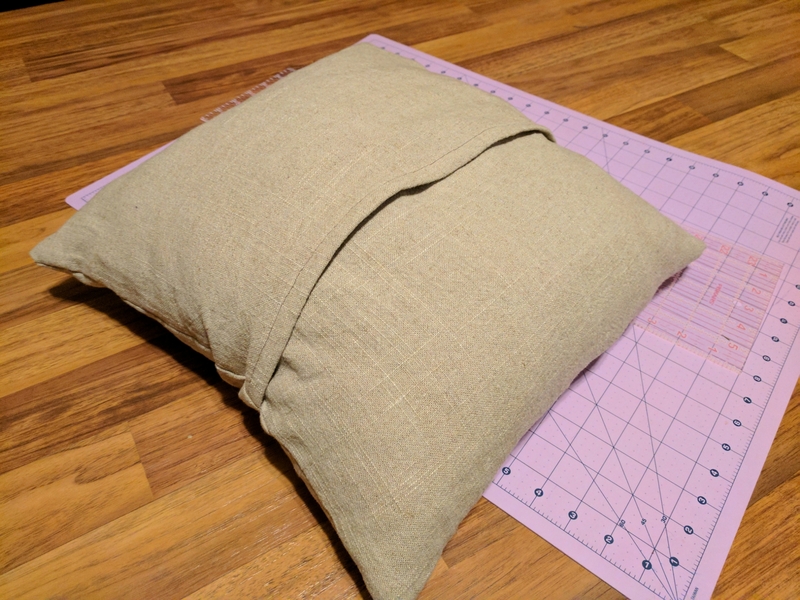 First, measure what size pillow you will be covering (mine is 16″), then cut your fabric about an inch wider and a few inches more than twice as long. With a 16″ or very squishy 18″ pillow, this is very easy… When you buy your fabric, just get a 1/2 yard (18″) cut from a 42″ bolt and all you have to do is square it off. Next, hem the short sides. Now you will need to do some measuring. With right side up, lay your fabric out on a flat surface. Now fold your ends over, overlapping, until the whole thing is as wide as your pillow (16″ in our example), and pin it together. Lastly, sew the unfinished edges. Flip it right side out, and you’re done! 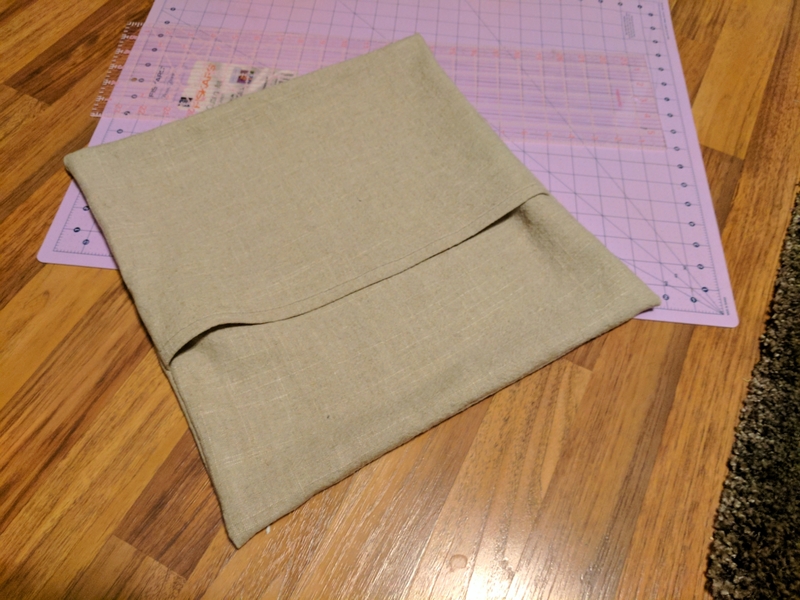 A SUPER simple envelope pillow cover that only takes a few minutes to complete, but adds a TON of style and a fresh look to your room. That’s why I love throw pillows. Did you make some pillow covers using this tutorial? If so, let me know in the comments section below. What other DIY projects would you like to see?